Angel is a consummate professional who delivers a customized product to drive performance. He has a unique ability to assess the client need, create the project, and inspire commitment from the audience. Individuals attending his workshops have gained direct insight into translatable actions. We have seen the immediate impact of his insight into leadership development. If you are a consultant seeking out guidance, Angel is your man. If you are an institution looking to invest in your people, Angel is your man. If you are an event planner in need of a keynote speaker or workshop facilitator, Angel is your man. If you are looking to revamp your career, Angel is your man. Basically, what I am saying is, Angel is THE MAN!! I attended Angel’s Teams in Action training class at Kraft. It was a great seminar and one of the best personal/professional development classes I have participated in. I have been able to bring what I learned in the class to my day-to-day work with outstanding results. Angel’s professionalism, charisma, availability, and expertise really facilitate the learning experience and bring exceptional results. I highly recommend Angel’s work. I have had the opportunity to attend several of Angel’s workshops on management and leadership development…Angel has a unique style that is engaging and inspiring…he is truly an authentic person which resonates highly with his audience. I always look forward to participating in Angel’s workshops and would encourage others to do the same…you will walk away delighted with a good dose of useful and common sense tools to use everyday. Keep up the great work! Angel is the type of problem solver that not only deals with the challenge at hand, but seeks to resolve the underlying issue. He is the type of counselor whose advice is solid and pragmatic. He is the kind of leader who inspires the best in others through his eloquence and his actions. I really enjoyed spending a day with Angel discussing ways to take my law practice to the next level. Angel added tremendous value and offered great insights. He listens well and has a genuine desire to help you reach your goals. I highly recommend Angel. I’ve had the pleasure of working with Angel over the past two years as a consultant and facilitator. He is as an astute business leader, trusted partner, and gifted facilitator. 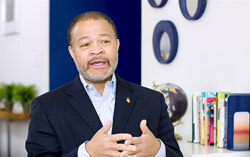 He engages, inspires, and challenges leaders in workshops using “real” business problems and “simple” yet profound techniques that transform leaders and accelerate their performance. I would highly recommend Angel and would be happy to talk to anyone interested in his services. AG Gomez Consulting, LLC is the advisor you want to guide your organization through its strategic planning process or major change initiative. Angel will help you create an outstanding strategy and process that will stretch your organization to new levels of sustainable success and mutual accountability. 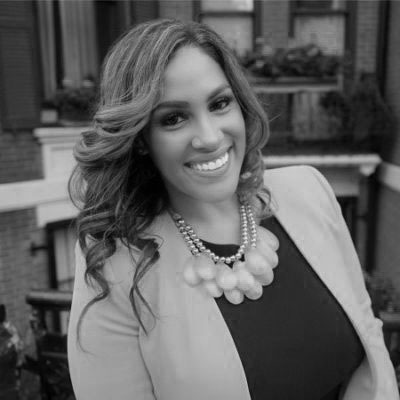 Angel is a dynamic public speaker and a subject matter expert on diversity, employment law, high-performance teams, and strategic HR. He is passionate about achieving excellence in everything he does and it shows. I recommend Angel as a trusted advisor. He is a man of integrity and vision. Angel knows what it takes to get things done in organizations and he makes it happen! I was fortunate enough to attend a management training seminar that Angel facilitated. He is an extremely charismatic and engaging presenter. Through Angel’s humor and contagious energy, he was able to engage the entire audience, and his message on being a successful leader of people gave me tools to use immediately and goals to strive for. I highly recommend Angel for any company that wants to encourage their leaders to build and inspire productive teams. Whenever I need honest, objective, thoughtful, and experienced advice, I look to Angel Gomez. His approach is to take an overall, independent, and fact-based view of a client’s performance and problems. He then leverages these facts to provide credible recommendations for his clients. But what impresses me most about Angel is that he builds up the capabilities and leadership skills within his client organizations. He builds up the capabilities of clients so that they can fully participate in the process and lead the work after his engagement ends. I know for a fact that Angel has earned the trust of all of his clients. He has done this through consistently superior service, professional conduct, and a complete commitment to a client’s needs. I give Angel Gomez my highest recommendation. Angel Gomez is one of the best partners I have worked with in aligning a team and setting a clear and focused purpose. Angel recently facilitated a session with our senior People Directors team from Argentina, Brazil, Canada, Puerto Rico, Mexico, and Chile and the process and results achieved are already making a difference in our company. I’ll continue partnering with Angel because he is strategic, a catalyst for change, and he ensures you results! It is a pleasure to recommend AG Gomez Consulting, LLC. We have worked together in a variety of relationships for more than two years and I have found Angel to be extremely customer-focused and capable. He is someone who looks for “win/win” solutions and provides excellent value. Angel is a valued “thought partner” to me, and I expect we will continue to work together for many years to come. I highly recommend AG Gomez Consulting, LLC and the genius behind the consulting firm, Angel Gomez. I have known Angel for more than 10 years and can attest to his remarkable ability to connect with people and effectuate positive change. Angel’s nearly 20 years of experience being a respected attorney, a passionate leader of national and local organizations, and an HR expert give him a unique perspective. Recently, Angel facilitated a retreat for City of Chicago senior managers in the Department of HR, which has greatly improved the manner in which our senior managers deal with change and communicate with each other. Angel is a top-notch speaker and presenter. He earns and keeps trust at all levels of an organization. Perhaps Angel’s greatest strength is his ability to dive into a subject with which he has only minimal familiarity and become an expert, successfully managing a team of people who have more substantive expertise. Any organization that retains AG Gomez Consulting, LLC will undoubtedly see the “value added” it contributes. For executives concerned about a consultant’s ROI, I believe an investment in the firm will drop dollars to any company’s bottom line AND make those with whom Angel works better employees, managers and/or executives. Over the past five years, I have had the opportunity to interact with Angel as a mentee and peer at Walmart, and recently as a client. Angel leverages his extensive leadership experience and consultative abilities to provide real-world solutions that make a difference and get results. 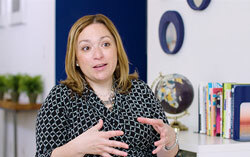 Whether tackling a major business issue or navigating interpersonal relationships, Angel excels. When the issue is complex and the stakes are high, he is my first call. Angel has been our “true north”— guiding us through very complex change yet making it feel so simple. He’s the master when it comes to change management. We’ve learned that having a purpose and staying aligned is at the core of what makes change really happen. Angel has the innate ability to unify a team in a way that makes them feel like a they can move mountains together. His persistence to define ownership and accountability is both amazing and gratifying. In my three plus decades at Comcast I have never met a facilitator as effective and personable as Angel. Angel’s negotiation workshop has been truly angelic to my professional and personal life. Because of the advice and information he provided through his negotiation workshop, I have been able to redefine my role and increase my salary. Angel’s workshop was very insightful and hands-on. Most importantly, he taught me how to negotiate. I am also thankful to him, because I recently accepted a new position, and negotiated to have them pay me the most the position offered to pay. How did I do this? With the advice that Angel provided me. Let Angel help you and your organization grow, lead, and perform. Contact Angel at angel@angelgomez.com or 312.212.4321.